Tom Hardy is that you? 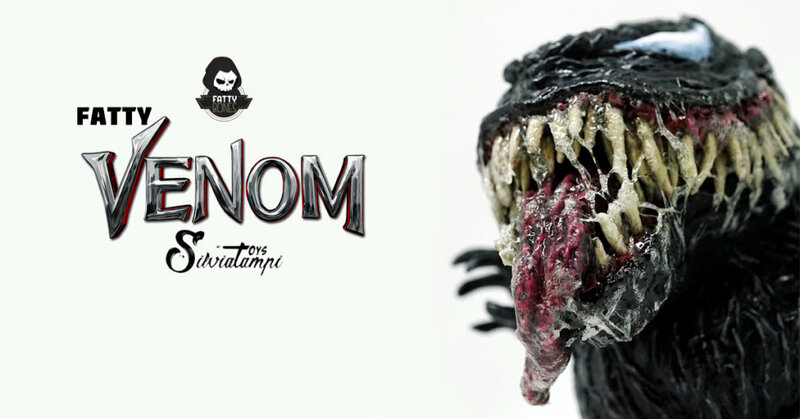 LOL, Silvia Tampi ramps up Marvel theme for the new movie “VENOM” with her latest nod to the Tom Hardy… ooops no Venom! The lady behind the fantastic “FUDOG Warriors” presents to you Fatty Bones VENOM, a custom on top of her own platform Fatty Bones. Silvia flexing her texture skills once again. Example of overeating and judging from the saliva from VENOM he must have had a good meal or buffet, HA. Loving the added synthetic saliva. “So many snacks, so little time”. He will be at Indonesia Comic Con this 27-28 October 2018 with Sliva’s IAT friends. PM for the price at via IG @silviliciouss Or kindly email at [email protected].